Lightroom is Adobe’s state-of-the-art professional photo development, manipulation and organization software. 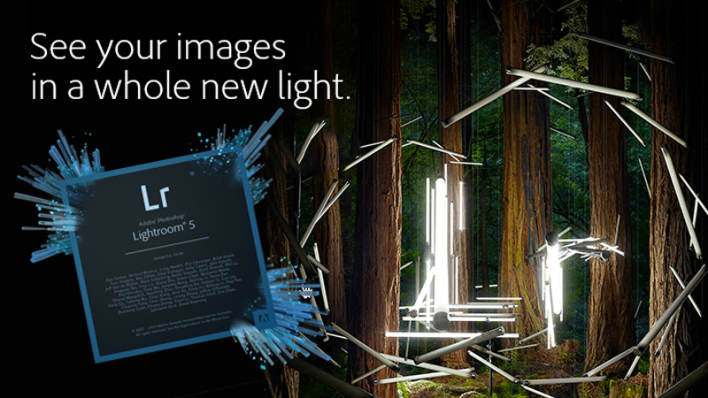 Lightroom’s powerful features enable users to transform RAW photographs into beautiful images of any kind. Sharpness, contrast, tone, white-balance and color can be adjusted in fine detail manually or through a large range of default and downloadable presets. Styles such as black and white, sepia, high contrast color and velvia are applied with one click. To organize photographs, Lightroom provides a concept of catalogues and collections that can include one or multiple images from various folders on your hard-drive or other media sources. The book module makes for easy creation of photo books or brochures which can be saved as PDF to be ordered at online print services. Lightroom is capable of importing AVCHD-Videos to extract single JPG images for further processing. Pictures with GPS data can be shown on its location on Google Maps. Supported Image and Video formats include: Camera Raw, DNG, TIFF, JPG, Photoshop (PSD), AVI, MOV, MP4 and others. Images with comments and likes will display a badge indicating that there are comments and a coloured badge to indicate that there are unread comments. Improved quality of Camera Matching colour profiles for the Nikon D810. Fixes visible banding issues with the Camera Standard, Camera Vivid, Camera Landscape, and Camera Monochrome profiles.